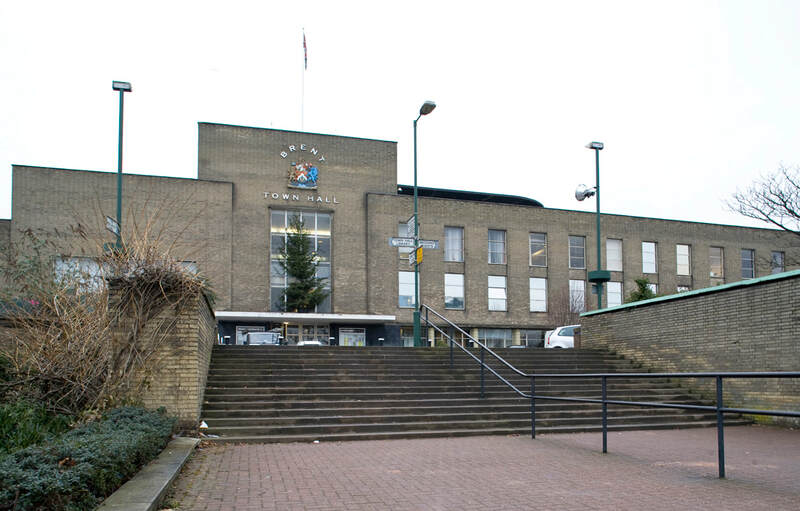 Notes: A Grade II listed building, this town hall located in Wembley was completed in 1940 to the designs of Clifford Strange. Pevsner called it “The best of the modern town halls around London, neither fanciful or drab”. Now an international school.